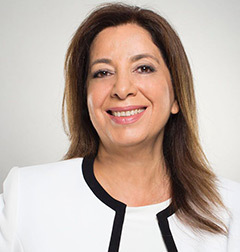 Diana is one of Australia’s most highly respected practitioners in the areas of compensation law, motor accidents, public liability, medical negligence, dispute resolution, insurance law and litigation. Known for her strong negotiation skills, Diana is committed to obtaining the best and most cost effective outcomes for her clients. Diana has a wealth of experience in both plaintiff and defendant matters which brings a broad and balanced perspective to the way she conducts her cases. She is accredited as a specialist in her field by the Law Society of NSW. Diana has conducted a number of landmark cases including Moran v Moran with proceedings in the Supreme Court culminating in the much publicised hearing in early 2000 and Nye v State of New South Wales & Ors  NSWSC 1212 (16 December 2003) being the first successful suit for malicious prosecution in Australia. By virtue of her professional standing, Diana is regularly invited to present seminars to fellow lawyers and to insurance claims officers. Diana has a Bachelor of Arts (Honours) and a Bachelor of Laws degree from the University of New South Wales. She is admitted as a solicitor of the Supreme Court of New South Wales. Diana joined Carroll & O’Dea Lawyers in July 1989 and became a partner in 1995. Diana is also a qualified Mediator.